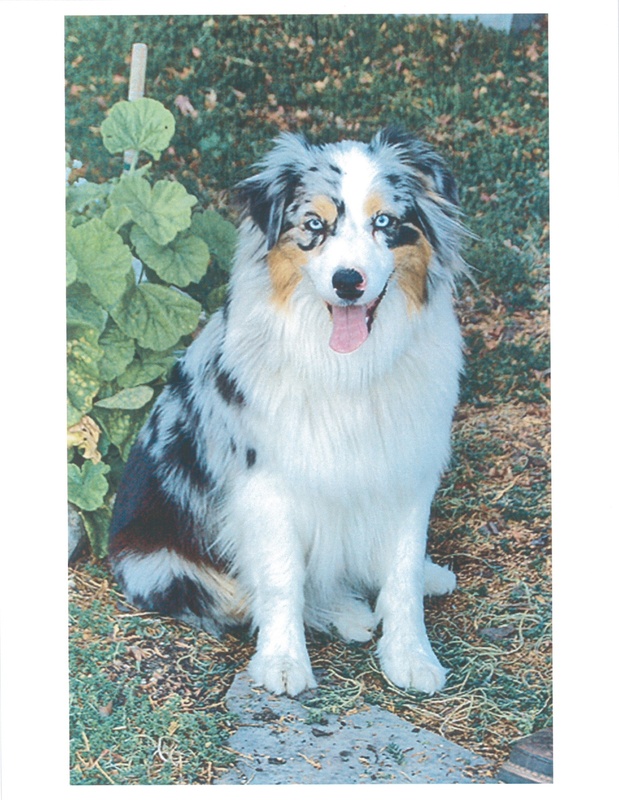 Annie, an 8-year-old Australian shepherd, has belonged to Chuck Hogue, an Arroyo Grande widower, for the last seven years. The dog ran away in late June in a panic after hearing a gunshot. Hogue, who works for Central Coast Pathology, spent the next three weeks searching for his dog, checking regularly with the county animal services Lost and Found Line. Hogue claims he received a phone call telling him that his dog was at the animal services shelter and to come out and get the dog. However, when he arrived, the dog had already been adopted out to another family days prior. Dr. Eric Anderson, director of animal services, informed the new family of Hogue’s relationship to the dog, but the family refused to surrender the dog. Anderson declined to take further action. On Wednesday, Jeff Hamm, director of the county health agency, which oversees animal services, reaffirmed Anderson’s handling of the case and said that Annie would likely stay with her new owners. Hamm also said that the staff at animal services handled the case appropriately. However, an email obtained by CalCoastNews from a volunteer worker at animal services suggests mistakes were made. “I definitely do not think it was Chuck Hogue’s fault,” wrote the volunteer, who asked to remain anonymous. “I know the system failed him. Annie was there in Kennel D1 for 7 days. Her name was known, as was her breed. Hogue probably called many, many times but he was never told that she was there. And at the time of her adoption, a fail safe check could have been made against any ‘lost animal’ report in the computer system. Hamm acknowledged that the case was becoming a “feeding frenzy” as dog lovers across the county rallied to Hogue’s defense. A Facebook page called “Give Chuck Hogue his Dog Back!” has been created to bring supporters together. Co-workers and friends are also meeting to pursue legal action and a public protest on behalf of Hogue. They’re urging people to write the various county supervisors on Hogue’s behalf. Hogue lost his wife recently. He doesn’t want to lose Annie. “I just want my dog back,” he said, choking back tears. Anybody up for a protest? March at Farmer’s tonight? If no resolution, then show up at next Board of Supervisor’s meeting on Tuesday 9 a.m.? Anyone? While I am sorry for Mr. Hogue, I side with the shelter on this. If potential adoptors are told “you can maybe have this dog, maybe not,” adoptions will drop way off, which is a farther reaching tragedy. I have skipped reading of this story as it developed (preferring to use my scant attention on NEWS), so I do not know what evidence Mr. Hogue has shown that he was even looking for the dog. I think it’s pretty crappy to demonize the new owners, who thought they were doing right by adopting a stray from Animal Control. racket, I’m surprised at your post. You have never struck me as the “Finders keepers, losers weepers” type. The new owners are NOT being demonized for “thinking that they were doing the right thing” when they adopted a beautiful valuable dog at the shelter. They are being demonized for learning that it wasn’t the right thing as the dog belonged to someone for 8 years who had been looking for her the entire time. Now they refuse to return her. Since you admit that you don’t read I will point out that Annie had been picked up by a citizen and taken to Santa Maria and kept by them for 10 days before being turned into the shelter. That shelter had a report of her missing but only called the true owner after they had adopted her. Now who do you think screwed up here? Don’t you think the dog wants her true owner of 8 years back as much as her TRUE OWNER want’s her back? It’s wrong to keep someone’s family member on a technicality. DOG”S ARE PEOPLE TOO. It’s less about “finders keepers” and more about protecting the system of re-homing animals. Adoptions, I predict, will fall way off or cease completely, if the adoptors have no reason to suspect the adoption process is anything other than an exercise (ie, that it’s unilaterally undoable at any time.) That’s all I am saying. Should the animals stay longer at Animal Control before being adopted out? Well maybe, but you must recognize that it would be at the expense of the life of other animals, who could be occupying that space rather than being euthanized. It’s a hard call and it tears your heart out, but if the adoptors believe in the system, then the system doesn’t work. Again, I am sorry for Mr. Hogue. I stand by my earlier mis-guided and unpopular comments. Racket I don’t always see eye to eye with you but MORE than understand your reasoning on this. If felt the same way after I read it. Your comment about being “undoable” is spot on right. This is a hard one all the way around. Hogue did nothing wrong but the people adopteding out the dog did nothing wrong. Oh and for anyone wanting to tell me that it is wrong in keeping the dog, that MIGHT be morally wrong but I am talking within the confines of how they did the transaction. Life happens sometimes and it isn’t great. One last for all that want to negative me for this another thought. You bring this dog home to your kid and your kid falls in love with it. Then here comes the county saying, whops. That wouldn’t be easy either. To quote the old saying, life isn’t always fair. Now go hit that down button!!! BTDT – What if it was your kids dog? Are you going to tell them that “life isn’t always fair” or are you going to get the dog back? The county did mess up, take a closer look. Nancy you need to go back and take a closer look at what I said. NEVER did I say that the county didn’t mess up. They did. Let me ask you this. What can they legally do now???? You can’t force the people to give it up. That was what I was responding to Racket about. As for your reverse play on the kids, I understand how hard it is either way. Lost three cats in 8 years living next to busy street as a kid. Not to fair huh? Just because you move on doesn’t mean you don’t have feelings. You can dwell on life and let it pass you by or move on. Dogs are considered property. The rightful owner of this dog is known to everyone and should be return to him. If your car was stolen and resold, it would be returned to you when found. The purchaser is SOL. I think it’s time for some “heads to roll” at Animal Services after this fiasco. There were so many mistakes made here that should NEVER have happened in the FIRST place. It’s got to start at the TOP. There’s NO excuse for what happened here. The MOST equitable solution, in my opinion, would be for the “new owner” to be re-imbursed & choose another dog. They certainly haven’t had the time (2 weeks) to bond with the pet that Mr. Hogue has in his 8 years of having Annie. use these numbers responsibly, be polite. be ready to meet them halfway. misplaced anger and invective doesn’t help, and actually wastes time and slows the process. government of the peeps by the peeps yada yada. Thanks Adam Hill, a family member has been stolen and sold, we appreciate your help. Mr. Hill, how do you know what is best for Annie, aren’t you doing what is best for the previous owner? 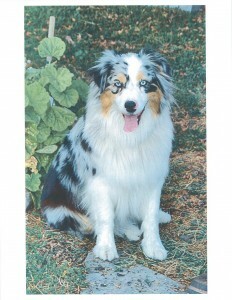 I’m assuming that you have researched Annie’s history to see if she has a “Vet” record, have you contacted Annie’s “Vet” to see if she was “well taken care of”?, Furthermore, maybe Annie’s local “Vet” could weigh in on this situation and “inform” all of us how well taken care of Annie was? I voted for you “last time” however, you have demonstrated a willingness to “do what is popular”, how much research have you done into Annie’s past to come to you conclusion? Your statement is very telling…. “return Annie to her rightful owner”, you left out “from Annie’s legal owner and loving adoptive Family”? Why don’t you spend this effort “in trying to adopt the “other” Animals that aren’t as lucky as Annie instead “demonizing” a County organization that is doing their very best to “do what is right for abandoned “pets”…………………Hopefully, this family keeps Annie “for her protection”, how do you know that the next time Annie “runs off” she is not placed in a facility that “destroys pets”? How sad! I would be devastated in that man’s shoes. If the new owners are dog-lovers, they should understand how a dog becomes a member of your family, and they should want to return the dog to the person he is most bonded with. I hope that this getting some press will inspire (or pressure) the new owners to give to dog back to his rightful one. The new owners are refusing to give Annie back to Mr. Hogue. How selfish and cruel ! There are plenty of other dogs that desperately need them, Annie isn’t one of those dog’s, I should think that if they were animal lovers they would be pleased to return Annie and chose another dog who really needs them. Yes Annie is beautiful but she belongs to Mr. Hogue. -CALM DOWN SSSam. Think. “A doctor and his friend” clearly suggests a male doctor. Gay, straight, that is NOT the point and don’t turn this into that kind of a red-herring. WE know little. A very beautiful and smart dog. People who love him. He needs to be returned. The County needs to apologize and correct. The newest adoptees need their funds returned, food paid for. Toys beds, etc, not reimbursed. AND their next dog chipped, fees, etc., paid for by the county. County apologizes to both parties. New couple saves face. Jeff Hamm can go from all I hear about him. Seems the shelter is built for misfortune. Almost all volunteer staff with no ability to make changes. Not sure if Anderson is the problem, he probably takes his direction from Hamm. not sure on what face the new couple has to save in this situation. I guess i agree that the taxpayers owe them a new dog fully loaded and paid for since we put up with the incompetence of our administrators but what face is involved. The new owners are seemingly callous unfeeling, uncaring people who probably shouldn’t own pets anyway. (Unless Anderson is lying about having told them the situation with Hogue) On a personal note, I am very calm, if i was upset there would be lots of *&^*(&^*(^ and (&)*(^(*&^&* in the comments and i would be picketing the health department. I have sent emails to the supervisors and Hamm is not answering his phone. Lets go find this guy. I dont get this at all. We can get these people a new dog (thou the scumbags don’t seem the type that deserve pets and certainly God didn’t let them breed so there are no hurt children to worry about) Dave said that the new owner is supposedly a Doctor and his friend (so either a girlfriend or a gay couple or a female doctor and boyfriend). I would guess that they will take the dog in to a local vet for a check up. The dog needs to be registered. There are ways to “out” these folks and give them the public attention they deserve. Are Hamm and Anderson elected officials and if not who do they work for. If they work for the supervisors lets have the supervisors put them both on paid administrative leave until Annie is returned to Chuck…..no wait that won’t work….Lets put the supervisors out of office until Annie is returned to Chuck that might work. One small step for the sake of a mans best friend.